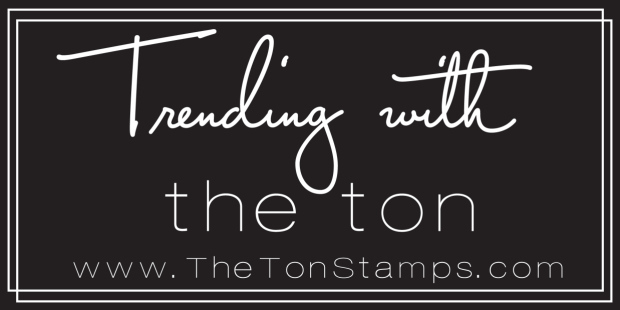 Welcome to The Ton Stamps' Spring 2019 Release Blog Hop! 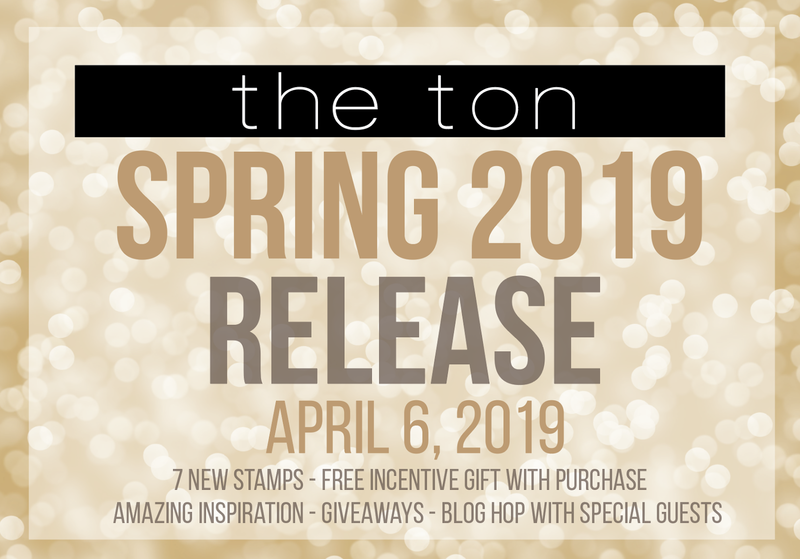 Today we are celebrating the new release of The Ton's seven new designs with a blog hop, giveaways and free gifts with purchase. 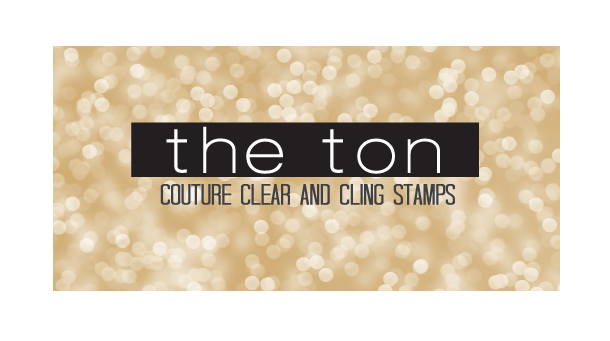 Head over to The Ton's blog for all the details. 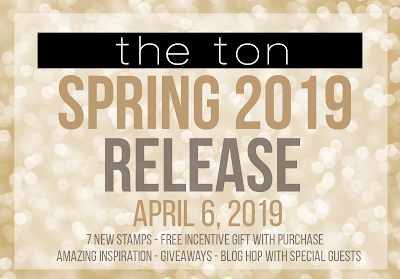 Three winners will receive a stamp set of choice from this new Spring 2019 release (excluding Fantastic Feathers). 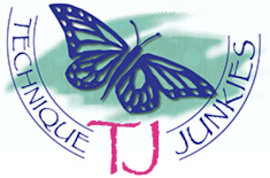 To enter, please leave a comment on each blog or youtube video. Comments must be entered prior 4/10 at 6pm EST to be eligible. Winners will be announced on the The Ton's blog following. 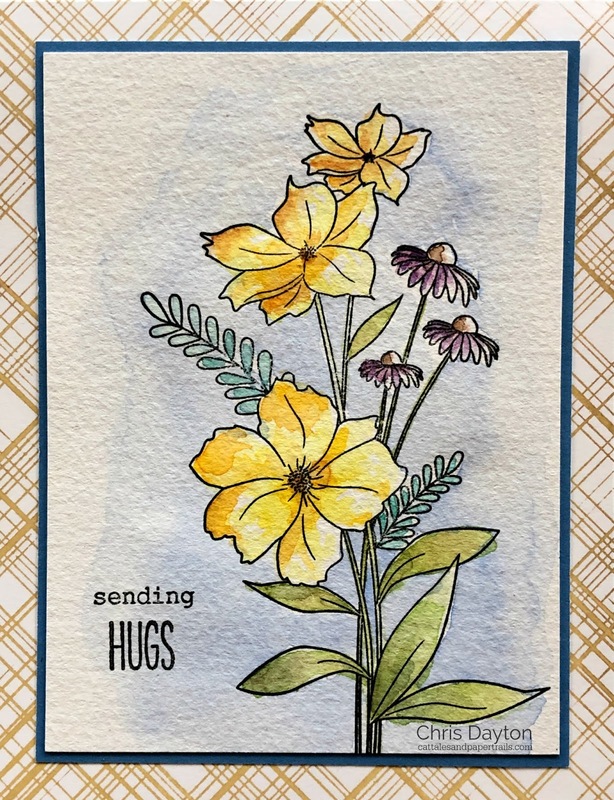 Today I'm sharing cards created with the Wildflower Bouquet Builder set. This is a great spring floral set with lots of possibilities! And you truly don't have to build. In fact, I didn't build at all. My first card uses the large bouquet image from the set. I used my Original MISTI to stamp the image unto a piece of Fabriano Artistico Cold Press watercolor paper. I added some vibrant color with Daniel Smith watercolors. When dry, I trimmed the panel to 3.5" x 4.75", then added the two-part greeting. I used the Modern Plaid background stamp in my MISTI to stamp my white card base with Beach Blondie ink. I cut a blue mat with a 1/16th border, and assembled my card. 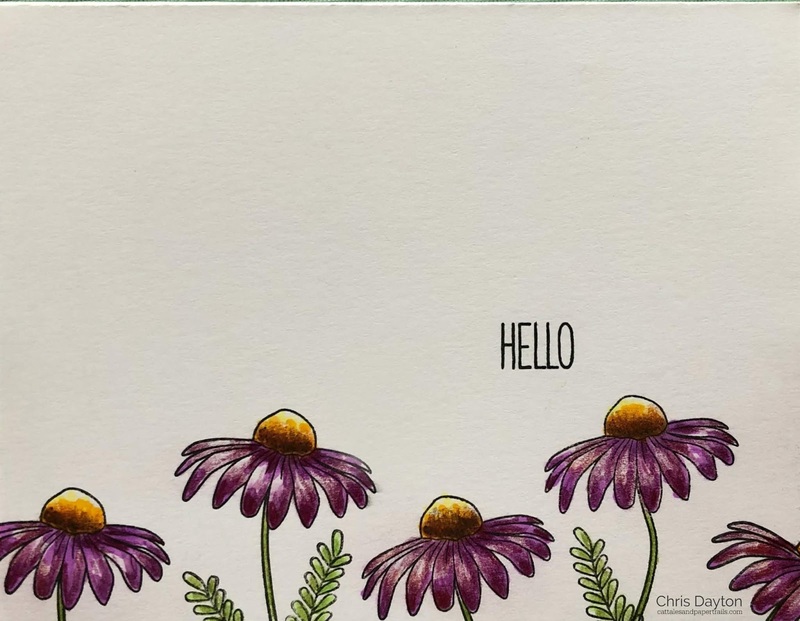 I also made a few simple notecards, stamping the single floral image multiple times in varying directions unto panels of Hammermill Color Copy Digital Cover paper. So I could color with Copic Markers. I did some quick sketchy coloring to create some Echinacea blooms, flicking color from each end of the petals, leaving a bit of white showing through as highlight. 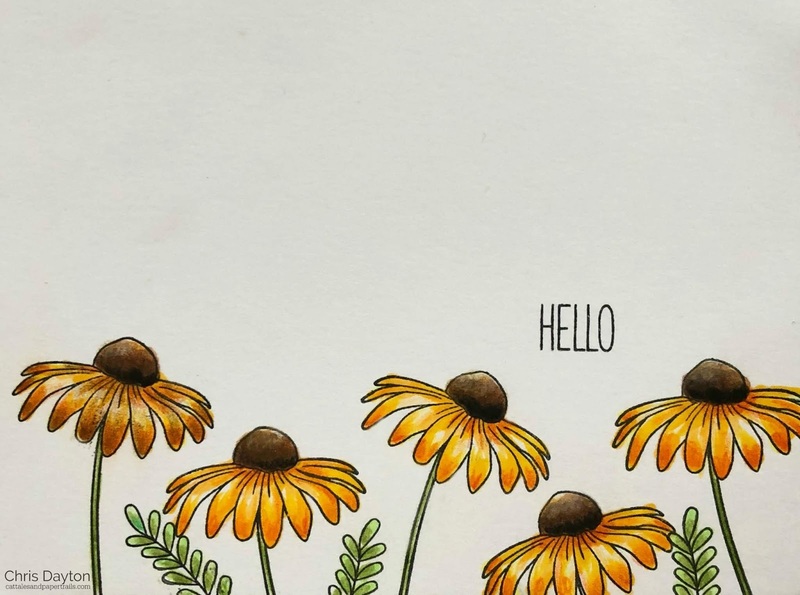 A second note card is very similar but I used my Copics this time to color them as Black-eyed Susans. There are lots of options with this stamp! Each panel was added to a horizontal top-fold card base for super simple cards. Thanks for stopping by today. I do hope you enjoy today's hop and find lots of Spring inspiration. Don't forget to comment to be entered to win prizes! Your next stop on the hop should be Vera's blog, but I've added the list of all participants below. Have fun! Absolutely adore those wildflower cards. Nice use of Copic Markers. You've got the technique down pat!! Hi Chris! First I LOVE your cards! They are all just perfect! 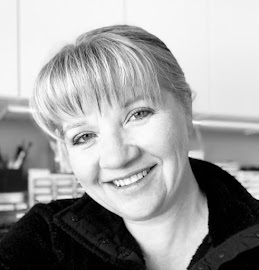 Then also as I was reading your post I loved that I saw you used Hammermill Color Copy Digital Cover paper. About a month or so ago I started using it too because my husband bought a ream of it for printing some presentations and I wondered how it would work with my alcohol markers and surprisingly....I loved it! Again, I just love your cards. Very pretty!! I love all the yellow flowers. And also your lovely CAS designs. Such beautiful cards. I love the Black-eyed Susans. Thanks for the inspiration! Sweet, simple and stunning!! Love these CAS cards. Luv, luv luv these with flower cards. Great job with your colouring. It's so natural. Thanks for sharing! Beautiful cards!! Always love seeing what you create. Such pretty cards. I'm admiring the way you left white space as a highlight on the petals. I need to try that - it's too easy for me to just color the whole thing. Simple yet pretty! Love the clean look to your last 2 cards especially. The yellow sunflower card is so pretty coming up from the bottom of the card. I love the color and makes me think of summer! wonderful designs and I luv your use of white space too! Love all these beautiful blooms! Pretty cards! Your notecards are so pretty and soft, Chris! Thanks so much for sharing your wonderful inspiration! Beautiful cards. I really love the black eyed Susan card. Your coloring is fantastic. 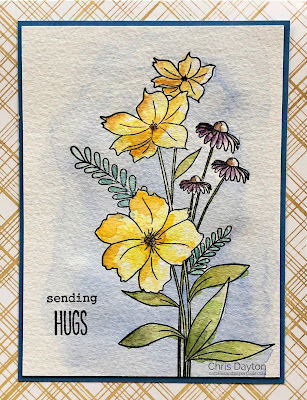 Adore your wildflower cards, stunning! I love your cards!! So pretty!!! Really pretty cards. I like the simple, clean design. I just love floral stamps. With just minimal supplies, you can make something so simple and beautiful. Tricia Podmore here, love the wild flowers and your color palette. Gorgeous cards. Appreciate your sharing. Gorgeous cards. I love the water color flowers, it's always such a beautiful look. Love the look of these cards. Love Black-eyed Susans and what you did here. Beautiful cards. The Wildflower Bouquet Builder is definitely one of my favorites from this wonderful release. Very pretty. I like the texture of the watercolor paper. It looks great as a soft background for your flowers. Your hello cards are something special. Really beautiful. Love the simplicity elegant look. Thanks for sharing your creativity! Those are so classy and beautiful! My favorite stamp set. Such darling cards you crafted to share!